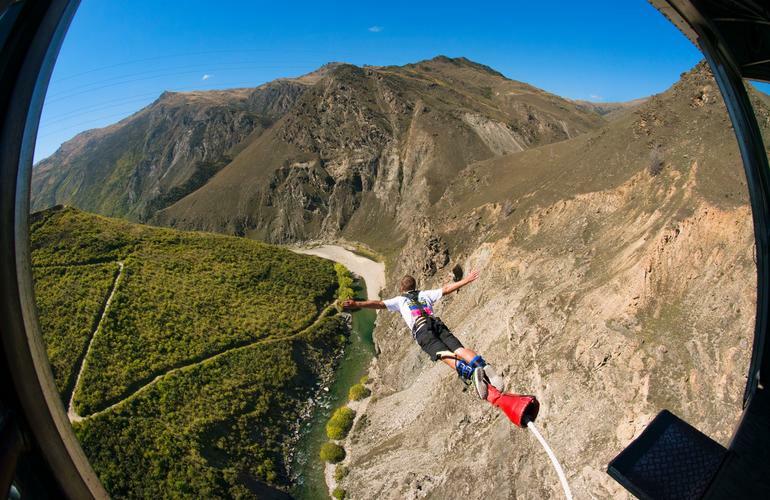 Set an epic 134m above the stark beauty of the Nevis River, the highest bungy in New Zealand is a once in a lifetime experience. 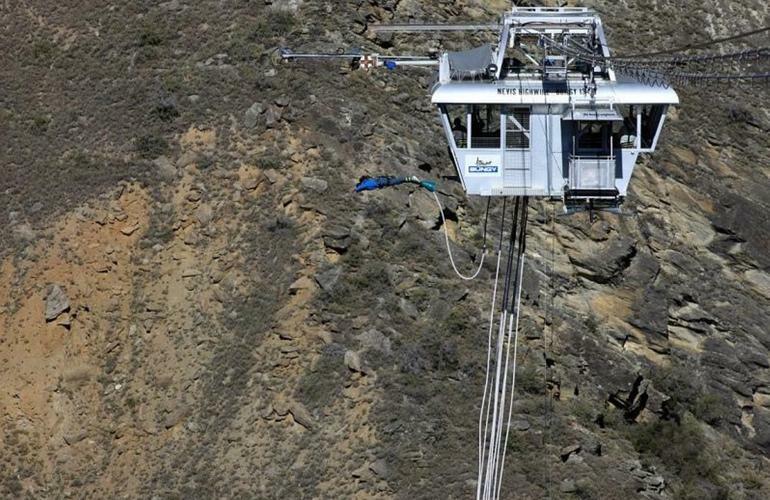 The Nevis Bungy is not for the faint of heart but if you conquer it – and you know you can – you’ll have earned the right to really tell people what to do in Queenstown, New Zealand. You'll jump from a whopping height of 134 metres and experience 8.5 seconds of free fall - if that doesn't get the adrenaline rushing then nothing will! 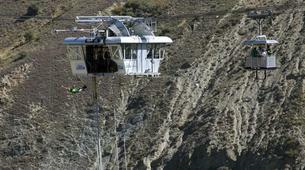 Located 45 minutes from Queenstown, you'll be driven out to the bungy site in a 4x4 bus, the drive alone is spectacular! Please ensure you allow a minimum of 4 hours for the round trip journey. Want more? 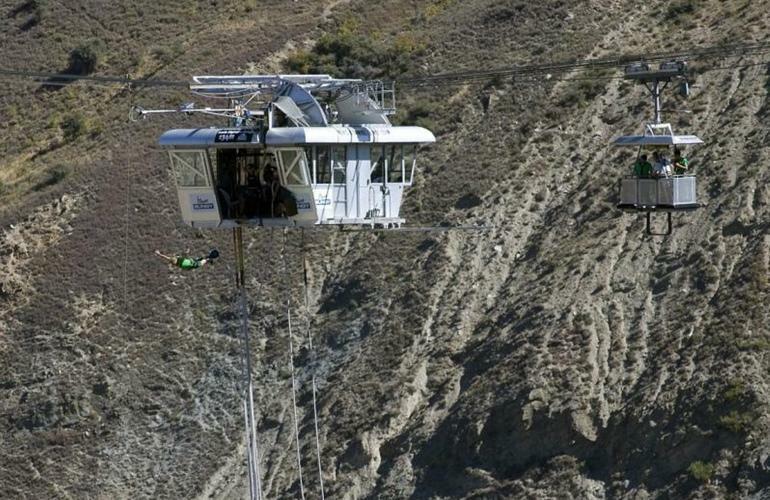 Upgrade to the Nevis Combo and enjoy not only Australasia’s highest bungy, but also the biggest New Zealand swing, no, wait – make that the world’s biggest swing! Travel time: Allow a minimum of 4 hours for the round-trip. Please dress appropriately for the weather. In Winter the Nevis can experience cooler conditions than in Queenstown. Please re-confirm your trip time with the activity provider directly at least 24 hours before your activity. 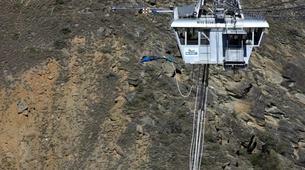 The Nevis Bungy Site is located on private land. 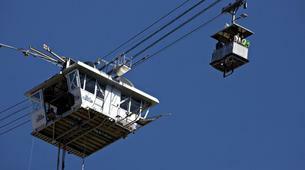 There are 4WD buses that depart 'The Station Building' in the centre of Queenstown daily for The Nevis Bungy and Nevis Swing. You must check-in for the Nevis 30 minutes prior to your booking time, please. Every bungee jumper is photographed and filmed, so even if you are unsure if you want to purchase Photos or Video (P&V) before you jump, you are more than welcome to look at it after your bungy and then decide if you want to purchase it. If you wish to take a camera out to the jump platform, or you wish to jump with a camera attached to you, it needs to be safely secured to your person to ensure it cannot be dropped. 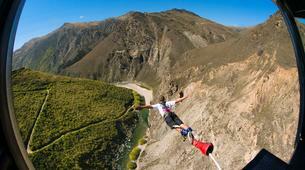 Jumping with a camera is entirely at your own risk and ONLY at the discretion of the Jump Operations Crew. 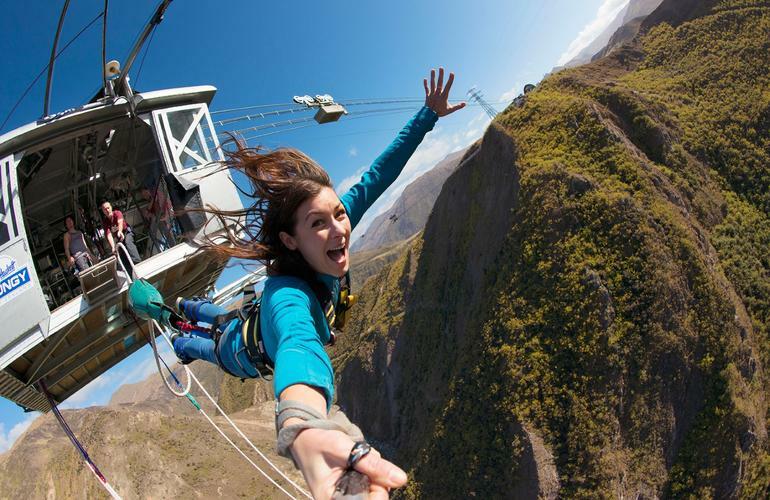 The legal waiver you sign when checking in fully indemnifies AJ Hackett Bungy NZ of any loss or injury associated with you jumping with your camera. 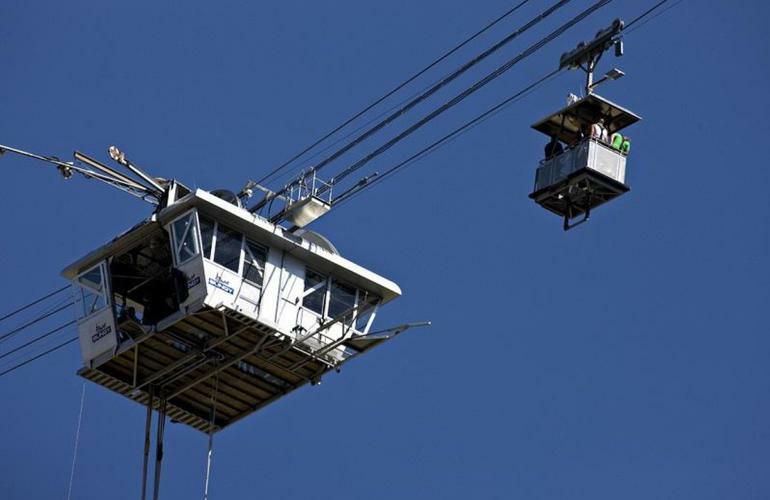 Spectators are welcome to accompany the bungy jumper throughout the whole experience, including getting harnessed up and going out to the Bungy Pod… a very cool experience, even if bungy jumping isn’t your forte. 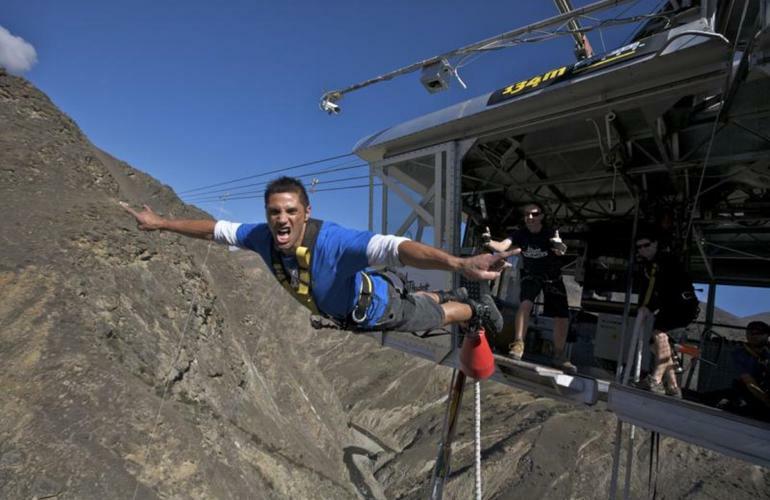 Spectator: $50 per person - please contact the bungy team directly once you have booked your activity to add your 'Bungy Mate'. 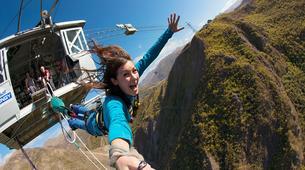 This is a Nevis Bungee and Swing combo - double the adrenaline by trying both thrilling activities.